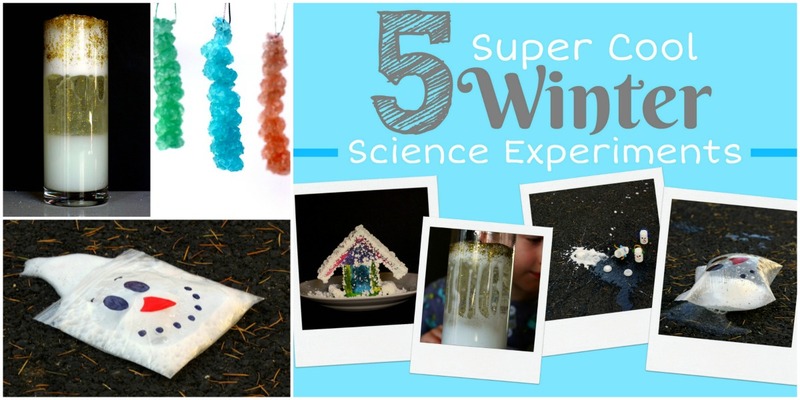 Creating magic milk is one of our favorite kitchen science experiments to do. It is easy to set up, easy to clean up, and only requires a few supplies that we readily have in our kitchen. 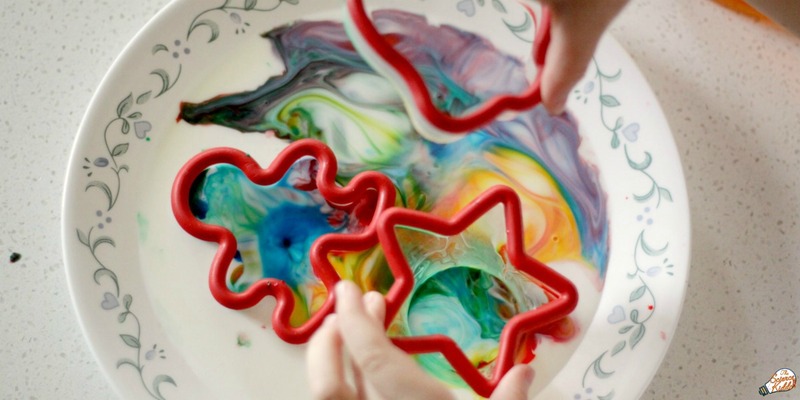 Plus, the kids love to wax creative by making colorful art and pretending to be mad scientists. 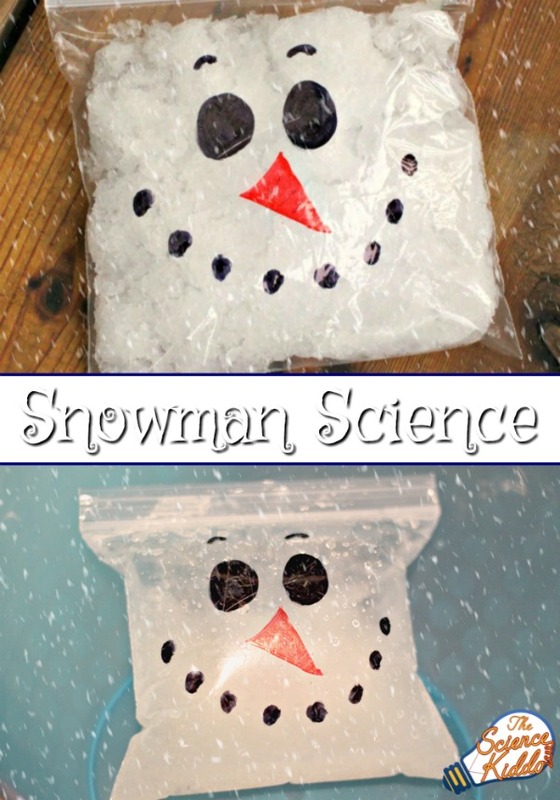 This holiday version is the perfect winter science experiment for Christmas and is easy to do in a classroom or at home. Since all of the ingredients are nontoxic I allowed the baby joined us this time. She couldn’t help but sample some colorful milk. Yum! I poured a thin layer of milk into a shallow plate for each child. They each arranged the holiday cookie cutters in their dish of milk. 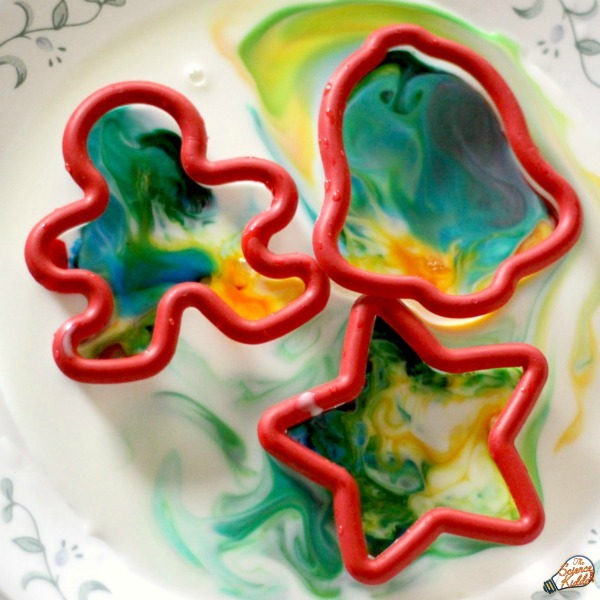 The kids squeezed a few drops of food coloring onto the milk within the cookie cutters. That was pretty fun, but not as fun as the next part! 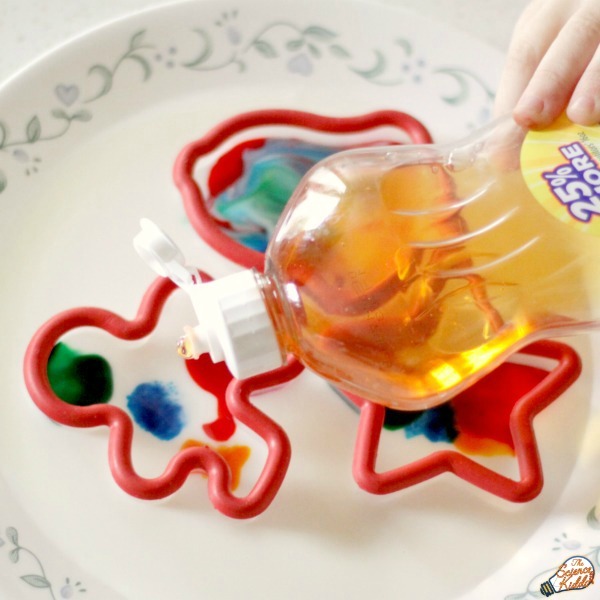 Carefully, we dripped one drop of liquid dish soap into each cookie cutter. The colors spread out like little fireworks, but stayed within the cookie cutters. We watched the colors mix and churn. 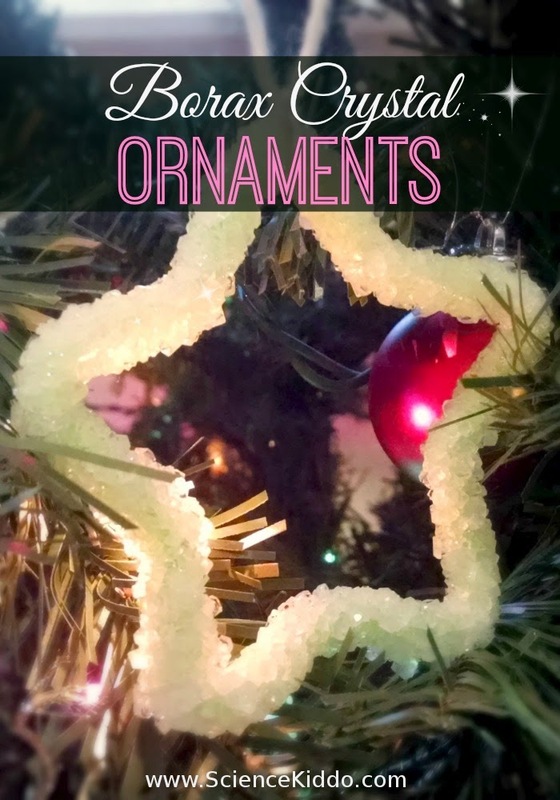 When the kids were ready, they removed the cookie cutters one by one and set them on the counter. The colored milk burst through its old boundaries and continued to mix and churn. We watched as new colors were created from other colors mixing. The plate looked almost like a colorful little bubbling spring! Magic milk never disappoints. 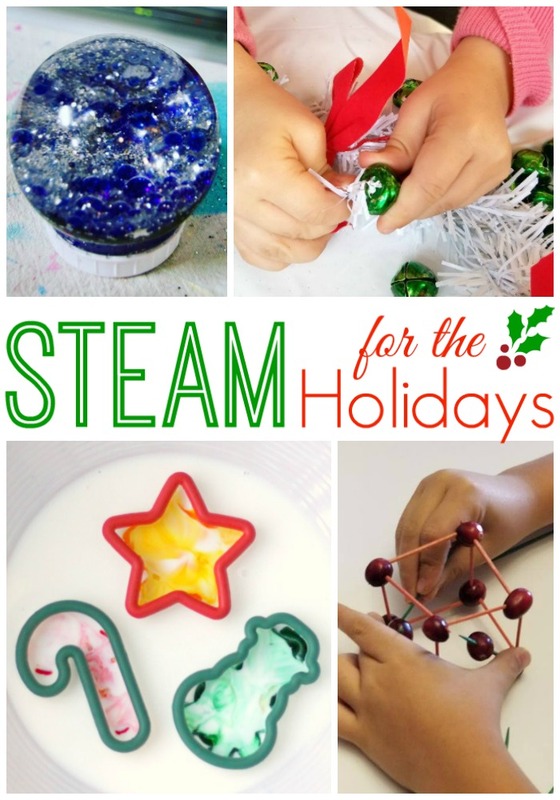 It’s such an impressive way to create unique art, learn a little bit of science, and have a ton of fun doing it. There are a couple of things at play to create the “magic” in magic milk. 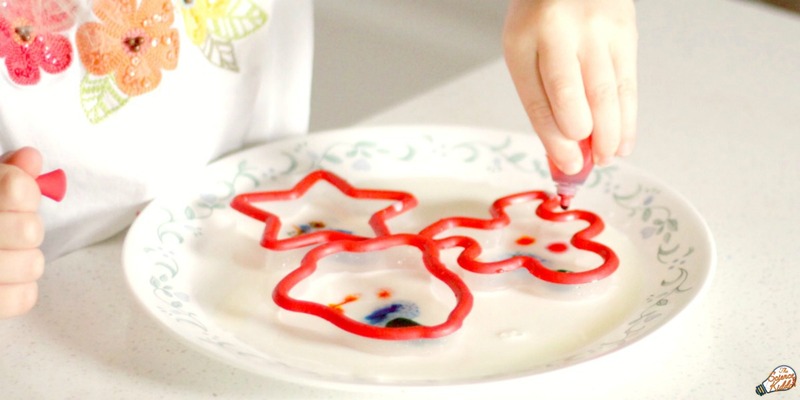 Food coloring floats on top when it is added to milk. Once dish soap is added, the dish soap molecules bond with the milk molecules, breaking the surface tension. The molecules on the surface spread out, creating the firework or marbled effect. Another interaction happening on the microscopic level is what is responsible for the continuous churning of the milk after the dish soap is added. Each soap molecule bonds with a molecule of fat in the milk. With millions of molecules looking for matches, the entire mixture bubbles and churns for several seconds. 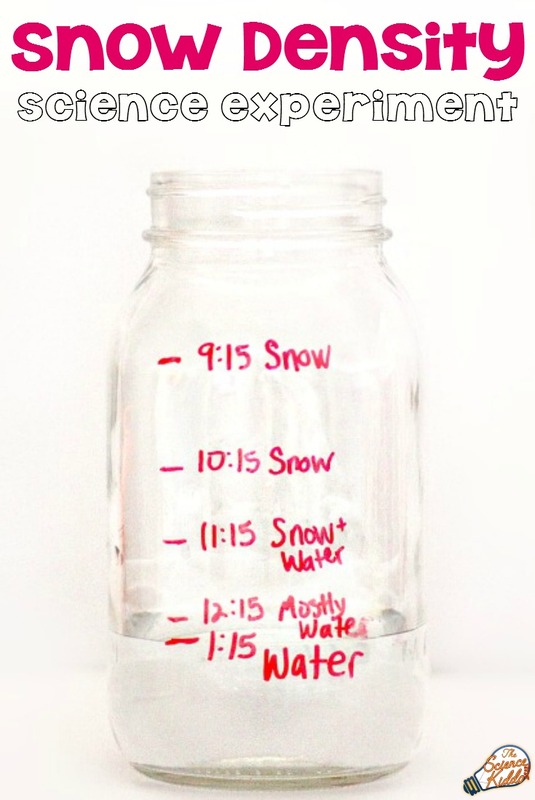 A good way to see this effect is to do this experiment using different kinds of milk. Skim milk definitely produces the tie-dye effect, but it doesn’t mix and move for nearly as long as whole milk does. Try it for yourself and see the difference! 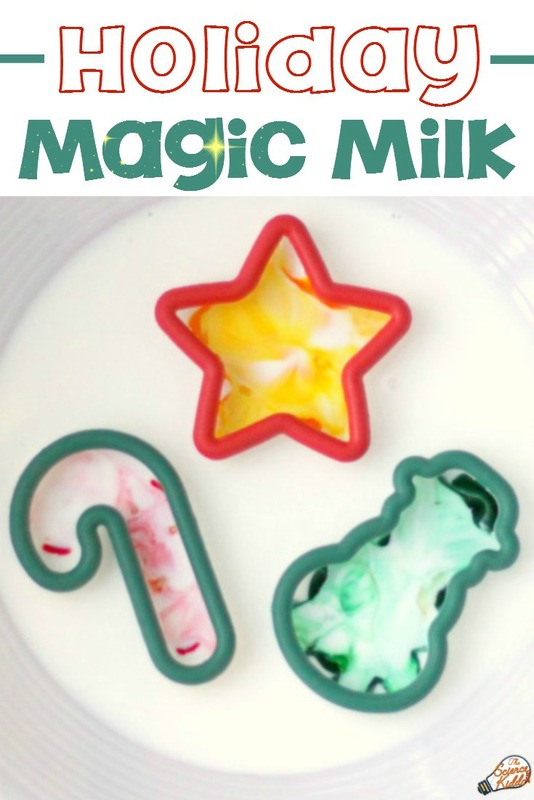 We have done the magic milk and the kids loved doing it. Wonderful! It’s always a huge hit!